Formerly known as Downsview Station, Sheppard West is the final stop on this journey for the time being. Now that this is posted, six new subway stations have opened on Line 1, but I won't be able to cover them for quite some time. In timing out this series, I anticipated that I could release one post a week and still have time to take pictures of the new stations when they opened in December 2017. What I didn't expect was getting my Italian citizenship and taking the opportunity to move there in November 2017. So now I'm left talking about a station at the end of the line that is no longer the end of the line. 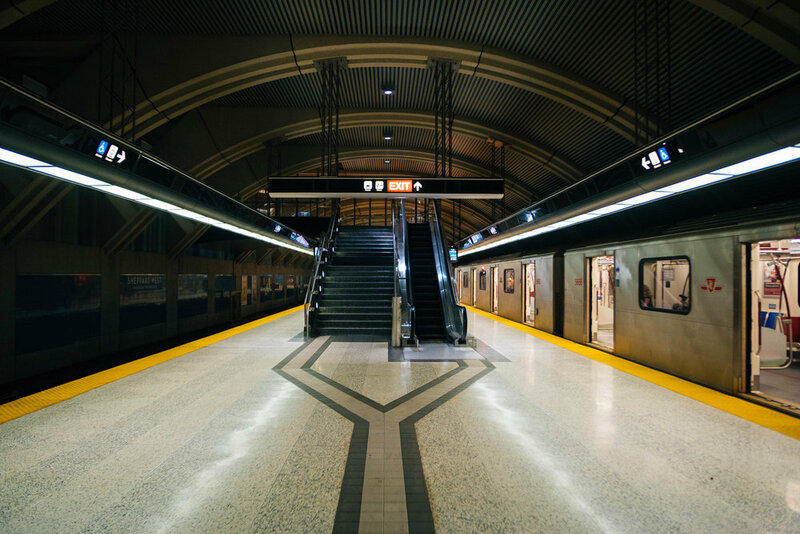 I will certainly be heading to the new stations as soon as I'm back in Toronto, but for now I'm content to set aside this undertaking that I've put upon myself and move onto something much bigger -- stay tuned!